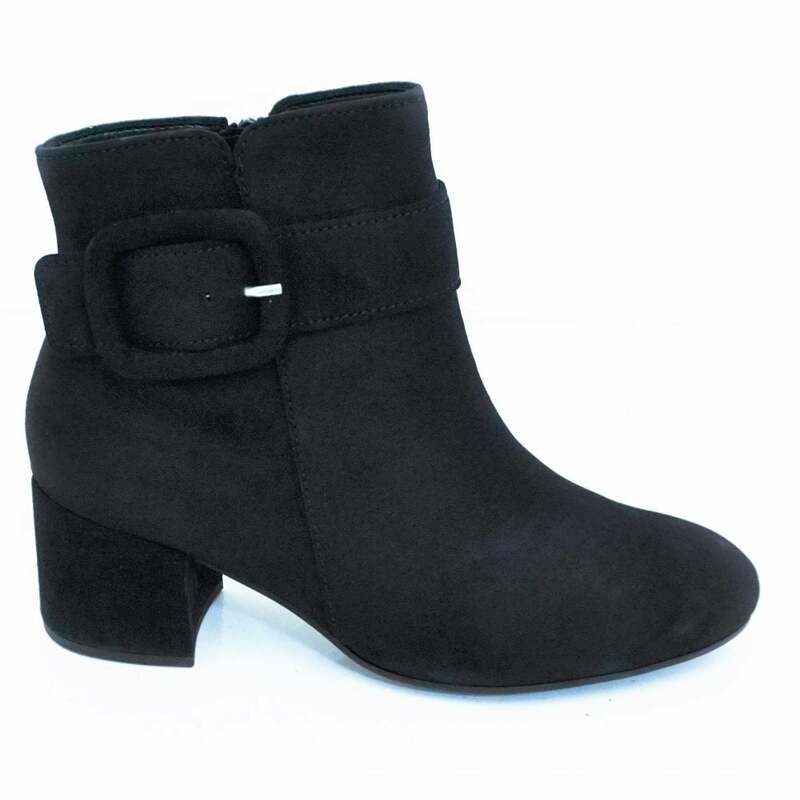 This modern ankle boot is perfect for the Autumn Season, with a medium height heel these add elegance to any outfit. An inner zip make these easy to take on and off, whilst a large buckle trim adds contemporary style. With a supple suede upper these are comfortable and durable.